In stark contrast to the city’s winter, summer in Chicago is notoriously warm, driving both locals and bands of tourists to look for new ways to enjoy the season. The summer months are also the busiest time for travelers to visit for group vacations with family and friends. Renting a charter bus with Chicago Charter Bus Company is the best group transportation solution for locals and tourists alike who are looking to get a large group around the busy city. From enjoying lovely beach views to sipping on rooftop cocktails to partaking in metropolitan festivals, Chicago has a little bit of everything for groups. Chicago Charter Bus Company will handle the driving and transportation logistics so your group can focus on all the city has to offer. Chicago’s public transportation system can be daunting, especially for large groups traveling around the city for events like sports games, music festivals, and more. A compact minibus is usually one of the best group transportation options for travelers getting through Chicago’s congested streets. A professional driver will handle the driving and parking situation so you won’t need to stress about finding transportation accommodations during your trip. Your group will travel comfortably and efficiently in a modern coach with amenities like WiFi, power outlets, on-board restrooms, and more! As one of the biggest cultural and entertainment hubs in the Midwest, Chicago hosts dozens of summer festivals every season. This includes huge music, food, and culture festivals that vary in cost and location. These festivals can get crowded and often warrant road closures, making travel even more of a hassle. With a private charter bus, you can easily skip the parking nightmare. Your driver can designate a dropoff and pickup point for your group to avoid a hectic parking situation. 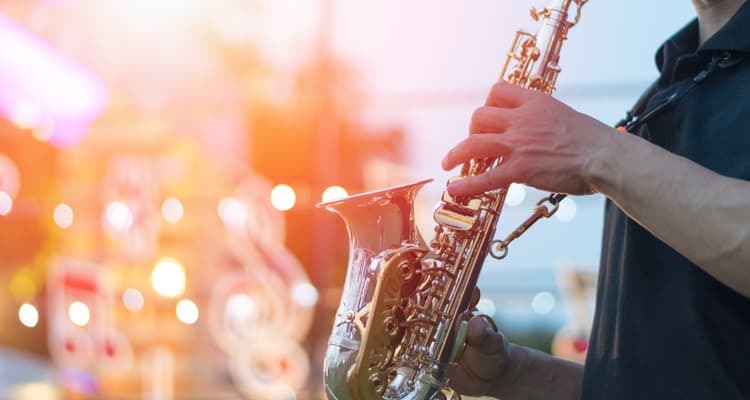 Held annually in June, the Chicago Blues Fest is one of the biggest free music festivals in the country, showcasing both top and upcoming jazz artists across multiple generations. The festival takes place over three days in Chicago’s popular Millennium Park. Renowned as the world’s largest food festival, Taste of Chicago spans over a five-day period during July in Grant Park and includes hundreds of diverse food vendors from across the region. Entry to this massive festival is free but be prepared to pay each individual vendor for delicious food and drinks. This music and arts festival has become a major event in Chicago, drawing hundreds of thousands of visitors since it began in the 90s. The multi-day event is friendly for groups of all ages, including Kidzapalooza for little ones and parents. Similar festivals that are popular during this season include Pitchfork Music Festival and Riot Fest. Pride in Chicago is one of the biggest LGBTQ+ events in the country, including a parade, numerous parties, and street festival celebrating the community. If your group is in town during late June, Chicago Pride is filled with diversity, music, and fun. 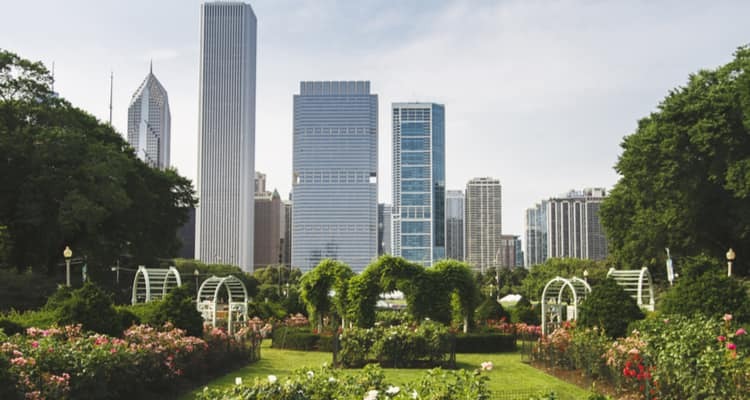 If you’re traveling from a location without beaches or good sunbathing spots, Chicago and the surrounding area have multiple sunny locations for travelers to enjoy. Groups just looking to cool off in the city can also explore some new ways to beat the heat. This popular beach is located just north of Chicago’s busy metro area and gives visitors a picturesque view of the city’s skyline. Although the beach may get crowded in the summer, it’s worth a visit for groups to experience the waters of Lake Michigan. 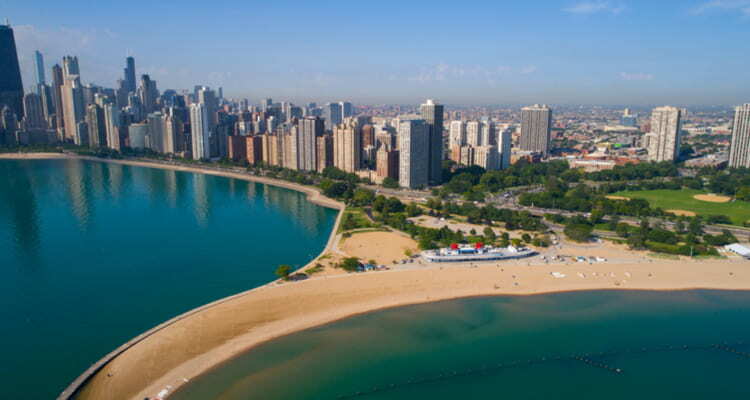 The beach is also close to Navy Pier and Lincoln Park, which is home to Chicago’s famous zoo. Chicago’s Crown Fountain is a sculpture and water fountain that gives visitors a unique way to cool off in the summer. The fountain is a wonderful spot for children to play in the water and cool off, while also enjoying the art on display. Groups of baseball lovers have to make Wrigley Field a must-see stop. Catch a Cubs game during the summer or even enjoy an occasional concert. More than half of the seats in Wrigley Field include some level of shade or cover, so be sure to request these ahead of time on exceptionally warm days, if possible. There are quite a few hip restaurants and bars that sit atop Chicago’s beautiful skyline. A few even have rooftop pools for those wanting to forego the beach. Your group can enjoy a bite to eat, a few drinks, and maybe even take a dip at locations like Cindy’s, Gene’s Sausage Shop, and Devereaux. Getting your group around Chicago during the busy summer months is easy with transportation services from Chicago Charter Bus Company. Whether you’re planning a trip for a private group vacation, a school field trip, or even a sporting event, we have you covered from beginning to end. No matter where your summer trip takes you in the city, you’ll arrive safely and on-time to each location. Call us today at 312-667-0906 to receive a free, personalized quote for your upcoming trip!